Cosmetic dentistry is the branch of dentistry concerned with the appearance (aesthetics) of your smile. Common cosmetic procedures include teeth whitening (bleaching), veneers, crowns, teeth straightening, and many more. Patients who seek cosmetic procedures for aesthetic reasons want to correct small gaps or improve the appearance of teeth that have been broken, chipped, or are discolored. A healthy smile is an attractive smile and cosmetic dentistry has given patients power over a first impression. However, the benefits of cosmetic dentistry extend far below the surface. Many dental procedures have cosmetic results. Technological advances in the industry have given dentists the ability to treat oral health with aesthetic results. Dr. Schropp focuses on the long-term health benefit of each and every treatment whether it is for cosmetic reasons or tooth function/health. Implant Restoration – Natural looking and strong, dental implant restorations fill the void of missing teeth for cosmetic and functionality purposes. 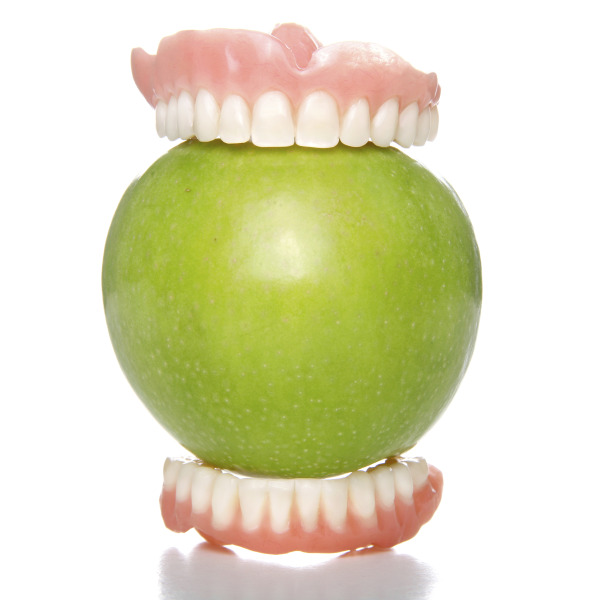 Implant supported dentures are a great option for those who are missing several teeth and have troubles with the fit and function regular dentures. A dental implant for a single tooth, partial or full denture plate will help prevent further oral health troubles like the shifting of adjacent teeth and early facial aging. Porcelain Crowns – Preserves the functionality of a tooth by encasing a tooth with a porcelain material, looks very similar to a natural tooth. Teeth Whitening – Dr. Schropp offers his patients Opalescence, a whitening gel designed to remove stains from teeth. Bridges – A bridge is used when replacing two or more missing teeth. The dentist will use the adjacent teeth as a foundation, literally bridging the gap between existing, natural teeth with the new abutments. The false teeth are created to mimic the original tooth’s shape and size and are colored to blend in with others near it. Inlays and Onlays – Inlays are fillings, are made of composite material and are fit to fill a cavity. Onlays fulfill the same role, but are placed on a cusp or the biting area of the tooth. The composite material blends in with the remaining tooth. Porcelain Veneers – Veneers transform a smile by using extremely thin layers of porcelain, which are durable and look very similar to tooth enamel. Composite Fillings – As most dentists continue to move away from silver amalgam to treat cavities, the more cosmetic method has become the use of composite fillings. They seal the tooth for more long-term health benefits as well as blend in with the remaining teeth. Dr. Schropp and the staff at his Melbourne practice offer plenty of guidance and information about each available procedure. Patients are encouraged to explore procedure options thoroughly, in order to make the best, most informed decision about their chosen treatment. Living near the ocean, the Melbourne community understands the benefits of good health! Dr. Schropp believes dental well-being is a vital part of a high quality of life, so he focuses on providing patients with a smile that is both natural in appearance and offers long-term oral health benefits. Dr. Schropp uses treatments and materials to reinforce a natural bite and improve overall function. Patients benefit from industry advancements. Today’s materials are extremely durable and mimic the appearance of natural teeth. By maintaining and improving function, the patient’s jaw bone and tissue are properly stimulated, encouraging regeneration and healing previously infected areas. If you are interested in exploring your options, contact the friendly staff at the office of Dr. Schropp today and make an appointment. We welcome patients from Melbourne and surrounding areas.